Research Ethics is all about integrity, transparency and quality in the design and conduct of research. University of Southampton Ethics Policy Statement. Further guidance on Research Data Management is available here. Who needs research ethics approval? All students, staff and visitors at the University who carry out research on human participants, their data or biological material require ethical approval. 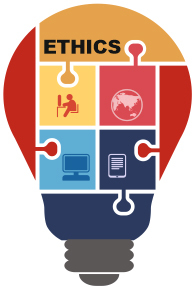 More information about what kinds of research require ethics approval can be found on the Researcher Portal or you can ask you Faculty Ethics Committee research support. How do I apply for research ethics approval? You apply for ethics approval via the University’s Ethics and Research Governance Online (ERGO) system which can be found here: ERGO. You will need to fill in an online form, an ethics form and a risk assessment form. Some studies require additional documentation such as consent forms, participant information sheets and interview guides or survey questions. Your supervisor will have to approve your application before it gets reviewed by the ethics committee. Certain research (e.g. involving NHS patients or staff, prison and probation services, social care services) requires ethics approval via the Integrated Research Application System (IRAS) as well as applying through the ERGO system. You must not begin your research before obtaining ethics approval. Breaches of ethical standards will be investigated under the Academic Integrity Regulations. Further information on research integrity can be found on the University of Southampton Research integrity pages. Light bulb image used: shutterstock_173222384. Image edited by Southampton University library. University Ethics policy, by Southampton University. ERGO: Ethics and Research Governance, by Southampton University. Research integrity pages, by Southampton University. Academic Integrity Regulations, by Southampton University. Animals in research policy, by Southampton University. Researcher Portal, by Southampton University. Integrated Research Application System (IRAS). The Research Ethics Guidebook: A Resource for Social Scientists, by University of London.